A panel involving several women who worked at Apple and NeXT in the early days of personal computing recently discussed Steve Jobs' relentless drive to build new products, particularly noting how treated women as equally capable to achieve greatness. Looking back at how women are portrayed in movies during the 1970s and 80s, it almost appears to be a joke how backward corporate culture was in the realm of gender equality. That highlights the contrast seen at Apple since its founding. At an event entitled "Lessons Learned From The Powerful Women Who Worked With Steve Jobs," held by the Cunningham Collective--organized by Jobs' former publicist Andy Cunningham--a roundtable of early female leaders who worked with Jobs at Apple, NeXT and Pixar discussed aspects of Apple's co-founder related to the women he worked with. The event was moderated by Katie Hafner, a journalist who covered Apple and NeXT for the New York Times, BusinessWeek and Newsweek in the 1980s and 90s. 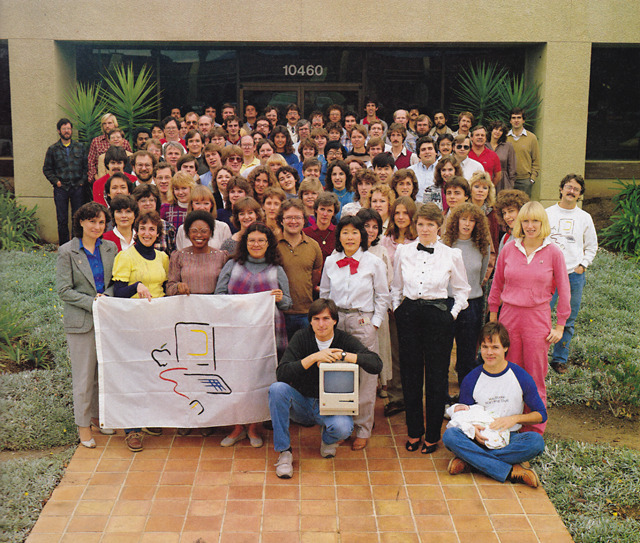 Panelist Joanna Hoffman, who worked on the original Macintosh team with Jobs and later joined him at NeXT, noted in retrospect how Jobs surrounded himself with a large proportion of women in high ranking jobs. Reporting on the event, Michelle Quinn wrote for for Silicon Beat that Jobs "didn't care about the gender of his colleagues, just as long as they could get the job done." Quinn wrote that in the discussion--which also involved Debi Coleman, who worked as a finance and operations chief at Apple for over a decade; Susan Barnes, the controller for the Mac division and a cofounder of NeXT; and Barbara Koalkin Barza, a Mac product manager and director of marketing for Pixar—"the Steve Jobs that emerged was one appreciated for his fierce passion and drive that meant he judged his colleagues on whether they cared as much as he did about a product's success." The women also noted that Jobs had predicted in the 1980s that Japan's economic success would be handicapped as an economy moving forward because of a culture that confined women to a limited role. Coleman called her colleague Hoffman "a heroine to me" in showing how to stand up to Jobs, but also that Jobs expected women to challenge his ideas, rather than just take instructions. The corporate culture Jobs fostered at Apple, promoting diversity and inclusion, not only left a model for other tech companies to follow, but has been expanded upon by Jobs' successor Tim Cook.